The Festival would not be complete without its healthy ration of dancing, so once again our own Bridport Ceilidhs has taken up the baton to conduct a selection of bands, callers and workshop leaders in the task. 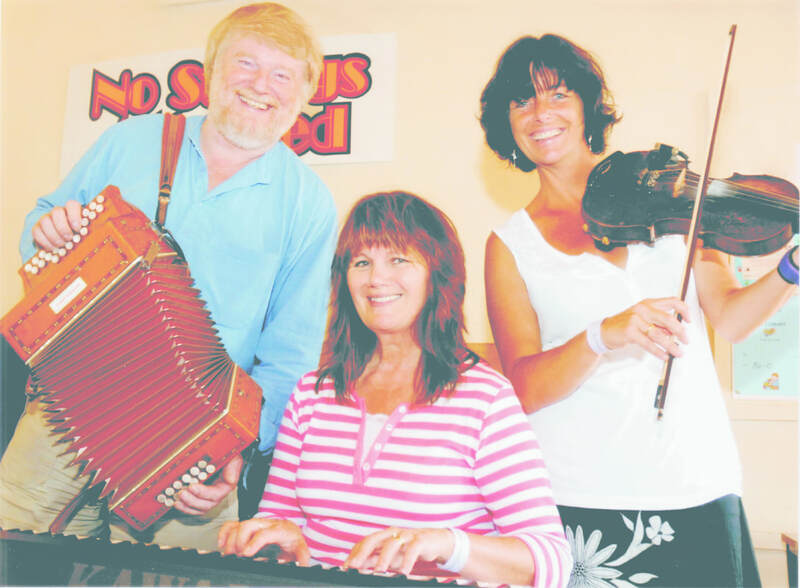 We start with a reprise of last year: a Friday night barn dance featuring "No Strings Attached" with guest caller Noeleen Ryan-Smith who will also concluded the festival with a lively street ceilidh in Buckydoo. 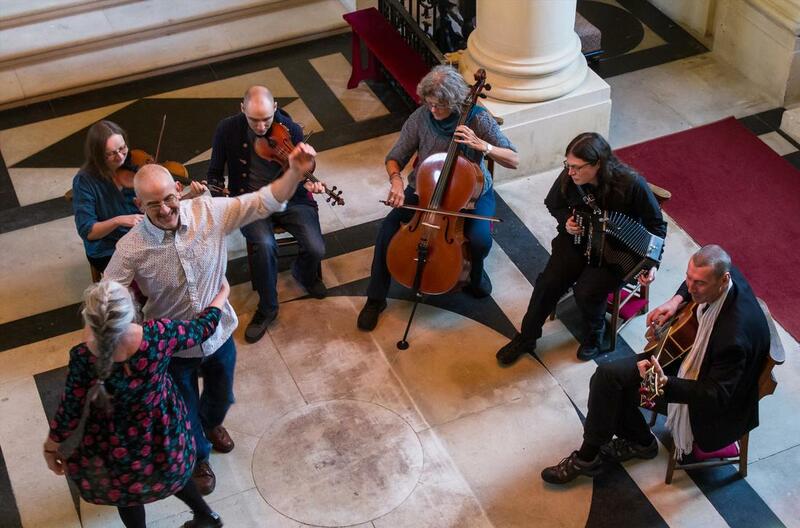 Early Saturday evening we will once more have a family dance in Church House Hall, an event which proved popular in 2017 - a good chance for folk of all ages to get together and (re-)discover the fun to be hand in moving to music. After that we have our evening ceilidh with the lovely music of "Jigfoot", a five piece band from Hampshire, who play traditional dance tunes with energy, inventiveness and, above all, swing. This music will defy you to stay still, whether it's at the dance or in other parts of the mini-concert/workshops programme. Over Saturday and Sunday we will have seven workshops in Church House Hall, covering historical, traditional and modern English folk dancing, Anglo-American/Contra and Scottish, plus a chance to pick up and practice simple dance steps from the Southern coastal counties, in polka, waltz and jig time - ideal for adding flair to your dancing style. In addition there will be a Morris dance workshop plus International Creative Dance; who knows we may even be able to slip a basic jive one in somewhere! 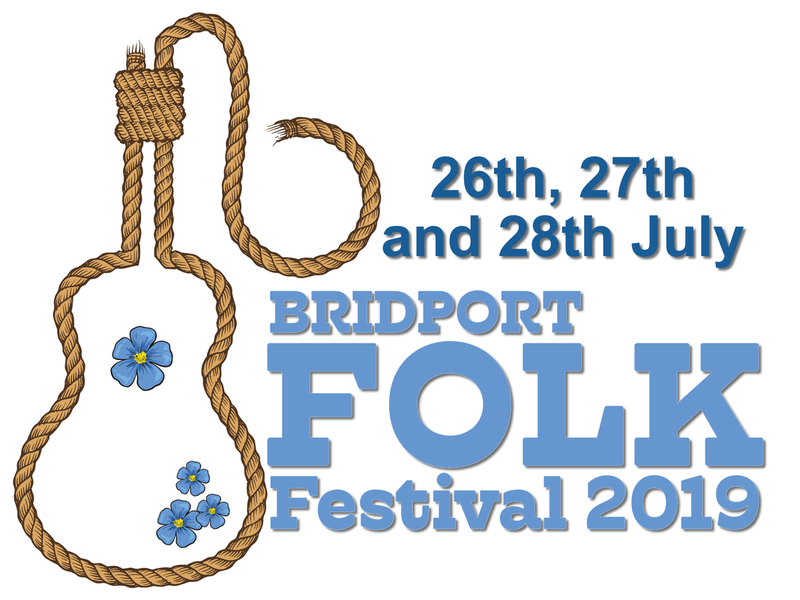 Participating in the dance workshops will be "Jigfoot", two local bands "Jeroka" and Chris Toyne, callers Mike and Ray, Ann Hinchliffe (historical dance teacher), Simon and Jo Harmer (from Folk Active) and the Bridport Scottish Country Dancers, with Petra Hughes leading the Creative dance. Don't forget the moonlit Mazurka on Saturday evening.